It’s quite clear from the fact that I’m writing a gaming blog that I love games. I also work in a school secretary. Now, I came across this recently translated game that combines both worlds called Coffee Noir. Yes, this is an edutainment game. This game is developed by Doji Educational Innovations, a Poland-based company that specializes in educational and training tools. This game is browser based, so no installs needed. So, I have played this game for a few hours and I’ll describe in this article my thoughts about the game. This is my first impression of this game, which means I haven’t finished the game. As usual for my articles, feel free to write a comment with your opinion on the game and/or the content of this article. First, before I forget to mention, the version I played was the version that is meant for casual gamers. That’s also the version I linked at the start of this article. If you want to know more about the educational side of this game, feel free to visit this website. In this game, you play as a private detective solving crimes. Your name is Arthur Oliver. You try to solve a disappearance case and you go undercover as a boss of a coffee producer to try and get in contact with the suspects who could have kidnapped your client. In this game, you will learn a lot about various topics like business management, economics, negotiation and many other skills. The developers created a video with more information about the story and the game, which you can see here. The original language of the game is Polish and it’s recently translated into English. Due to the high amounts of text, I can forgive some parts of the game not being translated. While I was playing this game, I screenshotted the areas where I still found some Polish and mailed them to the developers. They replied a day later and they said they are going to work on it. Another issue that I ran into is that in multiple areas the textboxes overflow. What I mean by that is that the text continues outside the UI. It’s a shame since this game looks great visually. I also notified the developers of this issue and they said that they will work on that as well. The presentation of this game is well done. It didn’t take long for me to find my way in the UI. When I wanted to adjust some sales settings, I had to click on “sales” and I was there. The only thing I couldn’t find easily is an overview page of all my income and expenses. That would be a great tool in this business simulation. Visually, this game looks great. Most of this game looks like it’s drawn by hand. I like the art style that is used in the game. I sometimes forgot that this game is an educational game and I was enjoying myself and if you can achieve that, you know you are doing a good job. Something I wasn’t too fond off is the music. Don’t understand me wrong, it’s good music, but there isn’t too much music in the game. And when I heard the same music track for the 6th time, I got bored with it. So, I muted the music and played my own music in the background. The sound effects in this game weren’t muted, and thankfully so, since they add so much atmosphere to the game. If you visit their IndieGoGo campaign, a campaign they ran in 2016, they said that there is still much in the pipeline for this game. A year after the IndieGoGo campaign we got the English version of this game. Now that it is released, we will get one major new feature in late 2017 and that is voice acting. That’s something that the version I played lacked. The game sometimes felt boring due to me clicking in some many menus and reading so much text. If there were more voice acting and more animation on screen, this game would be more interesting to casual players. But, we should wait and see before we give our final judgment. Something I applaud in this game is the fact that the educational parts aren’t forced upon the player. If you want to try your own strategy to finish this game, you are free to try. The game doesn’t stop you with annoying math puzzles you must solve before you can continue. This is how edutainment should be, since this way you teach players about something and they have fun. An example is that when you want to train your employees, you must finish the short test to gain a bonus with that employee. Don’t worry, you get the chance to read through the theory before you take the test. I was also happy that I could access it in negotiations since I could look up terms and theory of things I didn’t know. Another big plus in this game is the handbook and wiki. In the handbook, you can find many pages with usual information about psychology and other usual topics that can aid you in solving the case. While I studied economics in high school, I don’t know a lot about psychology. And this way I don’t have to look up all the information. Also, the wiki is quite handy to have nearby. When I forgot how to do something or how something worked in the UI or what something meant, my answer wasn’t too far away in the wiki. This game also has a tutorial. The tutorial itself is quite long and holds your hand throughout the whole process, it’s highly recommended that you go through with the tutorial since it teaches you the game mechanics. The first time I played this game, didn’t end well. I tested my skills without following the tutorial. As I said in the introduction of this article, I work in a school. But I also have some experience in teaching classes. This game would be great to use in an economics class. I wonder if the educational version of this game is different since you could use this game in two very different classes and it would be a shame that teachers didn’t use this game. I can imagine that teachers don’t use this game because, for example, an economics teacher doesn’t want that students have to bother with psychology in the economic classes. This game isn’t for everybody. 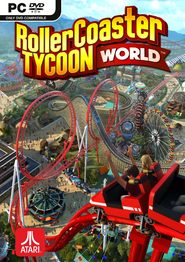 If you don’t enjoy mystery games or tycoon games, I would skip this game. If the videos from the developers interest you, give this game a try. This game is rather interesting. There is a lot of replay value in this game. Since you can tackle the business side of things in some many ways, each playthrough is different from the last. So, no playthrough will be the same. Unless you do it on purpose of course. Before I wrap up this article, I want to thank Doji Interactive for giving me a free copy of this game to test out. Thank you for putting this game under my attention. I have been playing this game here and there and I have been enjoying myself. When I wrote this article, a lifetime account costs 9,99 USD which is extremely cheap for the content you get in my opinion. Before there is confusion, this isn’t a paid article. This game has a lot of potentials. When I have more time, I certainly will finish this game. This will most likely happen in my summer break. Most things I missed in this game like voice acting are things on the to-do list of the developer. So, this game will only keep improving in the future and I can’t wait to see where it goes. If you are interested in mystery games and tycoon games, I would highly recommend checking the official website of this game since it’s a great game in my opinion and I can’t wait how this game is going to evolve. Before I say goodbye, I should add something. The developers told me that in the coming months, there will be some updates and patches to the game. Another reason to get excited about the future of this game! 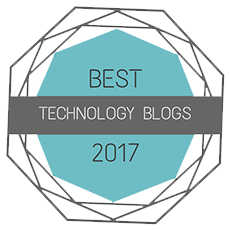 Thank you for reading this article and I hope you enjoyed reading this as much as I enjoyed writing this article. I hope to be able to welcome you in another article on my blog, but until then take care and have a great rest of your day! This entry was posted in First Impression and tagged 001, about, arpegi, browser, caffe, cheap, Class, coffee, company, detective, doji, educational, English, first, for, game, gameplay, games, gaming, great, impression, indi, information, interactive, jea, Jonez, jonez001, jonezjea, more, Mystery, neko, NekoJonez, noir, polish, review, testimonial, tools, tutorial, tycoon on June 22, 2017 by NekoJonez. So, today I want to take another look at this very old case. Wait, scrap that. If I try to be too original in my introduction, I might ruin the beauty of my previous CSI article. Yeah, remember that first impression article I wrote about that CSI PS2 game? I tried to set the mood in the introduction and if I repeat that in this one, it might get boring. Yup, I’m rambling on instead of writing a decent introduction for this game. I just finished it and I want to review it. Before I actually start to review it, I’ll come clean. I enjoyed the other CSI games I played. In total, I know there are 3-4 games like this about CSI. 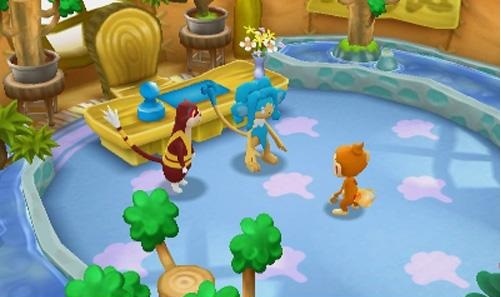 I think that this game is the latest in terms of trying to go for realism instead of a more cartoon-y approch they did in the DS games. In any case, I enjoy the tv-show a lot myself. Too bad that my local channel broadcasts the series out of order. As usual, feel free to leave a comment on this article with your opinion on the game and or the content of this article. I know that this game was also released on the XBOX360 and the Wii. But for this review, we take a look at the PC version of the game. It’s developed by TellTale Games, who you might know from the Walking Dead series. One might think that this game must be good. I mean, they make all sorts of amazing adventure point-and-click games. If I look around the internet to what other people think about this game, I read mostly negative reviews. But is this game a cheap cash-in of a very popular series? Let me play devil’s advocate and say no. Sure, there are some problems and you might rest assured I’ll address them in this review but overall, this game is a nice one. The evidence for that is in the story. Each and every case feels like a CSI episode. The characters are quite memorable and the voice acting is decent. I have to disagree that the voice acting is the best the game has too offer since I sometimes don’t feel the emotion in the voice. I also had moments where I felt that the emotion was acted or forced. But that might be because I act on stage myself. The negative you see popping up in each and every review is that the graphics look outdated. This is quite vague in my opinion. The area’s you visit and objects look quite clean and decent. They aren’t the best the genre or the system can offer but that’s not the issue here. The issue here is in the animation of the models. That’s quite flawed. If this game had a rushed development schedule you can see it in the animations. I didn’t had many visual flaws on my gaming laptop but on my desktop with a much stronger graphics card/CPU/RAM… the mistakes are coming quite clear. Mostly around the mouth area, that’s the worst. In the 4th case, I even saw gaps in the mouth were the model wasn’t finished. It’s a shame since the visuals of the cutscene video’s give another impression of this game. This game might have looked so much better if they polished up the animations. They could have looked a whole lot better, since you know that TellTale is able to create amazing stuff. Why did I play this game? I can be rather short about the music. In this game, the music isn’t meant to be memorable or catchy. It needs to set a certain mood. The music does this job perfectly. It gets me in the right mood to try and solve a murder case and to catch bugs. If you watch the series, you might know that one of the characters is very interested in bugs. In each case, there are several bugs hidden and if you find them all, you get a bonus. Talking about the bonus content, while it’s a nice addition, it’s quite lackluster. When the title of the bonus material says: “storyboards of case 3” for example, you just get three storyboards of a fragment that took 5-6 seconds in game. They are quite underwhelming and they wouldn’t add to the experience if you want to 100% the game. You might start to wonder why I even beat this game. I point out mistakes in almost every category. Well, this game is a good game but it mainly lacks polish. The sound effects create a great feeling of actually being a CSI but not all the time thankfully. It also gives you the feeling that it is fake, created for a TV-show. All elements of this game blend together quite well and if you put the time into this game instead of focusing on the negatives of this game, you get a nice experience. Before I forget, I have a few things to mention before I go to my conclusion. First of all, the saving system is just wonderful. Thanks to the automatic save system, I didn’t need to worry that my progress would be lost. The difficulty of this game is right in the middle. While this is one of the easiest games I played in the series, it can be challenging and puts everything you learned in the tutorial case to the test. Anyways, I think I talked about most of the things I wanted to talk about, about this game. So, let’s get on with the conclusion. – Animations can be quite bad. – The interface isn’t always good to work with. + Nice experience for a CSI fan. + Easy but sometimes challenging game. + Nice and responsive controls. I said it in my last paragraph, this game lacks polish. If TellTale put a bit more time into the animations, the interface and the game as a whole… I think this game wouldn’t get such a bad rating. This game can be quite a fun game in the right hands, but if I need to look at it objectively: this game is a mediocre one. But as a fan of CSI and point-and-click games… it isn’t half that bad. If you start to play this game, don’t set your expectations too high. It isn’t a masterpiece and it’s flaws show quite clearly. If you look passed them, you get 5 interesting cases to play through that each CSI and crime story fan will enjoy. This entry was posted in Reviews and tagged 001, 1, 2, 3, 4, 5, about, adventure, and, arpegi, back, broken, buttonsmashers, case, click, crime, csi, evidence, game, games, hard, he, how, information, investigation, is, Jonez, jonez001, jonezjea, many, mediocre, miami, microsoft, more, murder, Mystery, neko, Nintendo, point, review, scene, solve, stuff, Sword, this, To, ubisoft, wii, xbox360 on February 18, 2015 by NekoJonez. After a crazy busy week, I finally found time to announce my top 5 GBA titles. The comments on the first part were exactly what I hoped them to be. Popular titles that everybody puts in their top 10 will be mostly absent in my top 10. Since I go for the more obscure titles, that deserve the spotlight. Games that are good, but never get a spot in any top 10 due to some flaws. Anyways, enough talking. Let’s take a look at my top 5 GBA games. As usual, feel free to leave a comment in the comment section about your top 10, the content of this article and things like that. I own both the PC version and the GBA version of this game. My young mind was blown when I saw how many similarities there are between the GBA version and the PC version. While the GBA version isn’t as much fun as the PC version, I did have quite a lot of fun with it. This game gets also a special award from me, for the most easiest final boss ever. I can beat the final boss with my eyes closed, on hard difficulty. It’s just ridiculous. 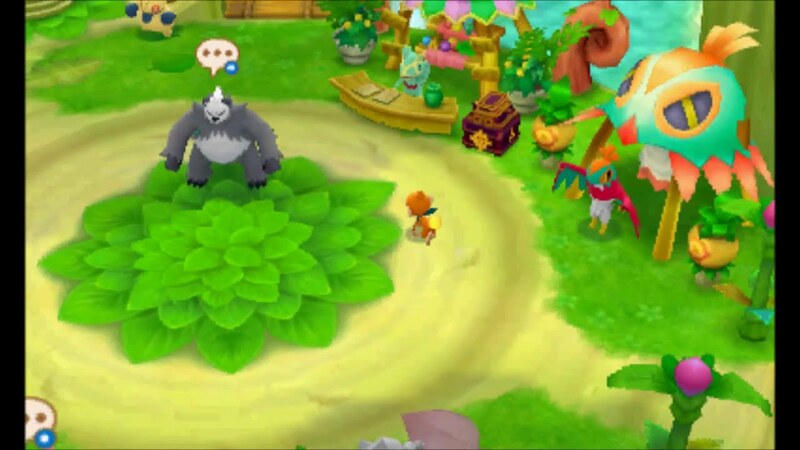 One advice I should give is that the DS version is just a big mess. The GBA version is just a nice game that takes the portable Tomb Raider games to a new height. Give it a chance and remember that it’s a GBA game. Also, the final thank you in the credits is just amazing. A game about a TV-show, what can go wrong.. I mean, what can go right? Well, this is a great platformer/adventure game that is totally Scooby-Doo themed. The reason why I love this game is mostly because the nostalgic value to the show. This game is thankfully no cash-in. When I discovered that one of my favorite bands at that time actually made one of the theme songs for the show, Simple Plan, my love for the game grew even more. While I haven’t fully beaten this game, I can’t get passed the final boss, I did see a friend beat it and I saw the ending. The final boss is brutal. That’s one of the only remakes I can give at this game in my opinion. Maybe I should replay it to review it…? The people who have read my review might have seen this entry coming. 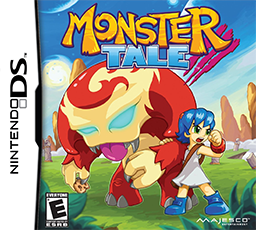 I truly think that this game is one of the best platformers besides Mario that the GBA has to offer. While I don’t own a copy anymore since I mostly remember this game from rentals, I still do hunt for it. Every time when I go to a garage sale, I hope to find it. I would accept any copy, even without the box. If you want to read more about my opinion, go check out the review. #2: Pokémon Ruby – Sapphire. This game is the black sheep in the series. The 3rd generation wasn’t very well received. Which is strange to me, since the pre-orders for the remake at the end of this month are quite high. The only complaint I have with this game is that the soundtrack has a lot of trumpets. 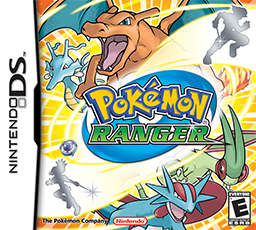 I know that this is going to get me some hate, but Ruby and Sapphire are actually my 2nd most favorite games in the series. 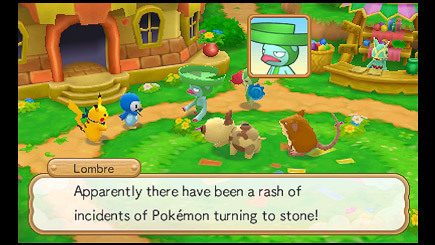 Most has to do with the introduction of secret bases. 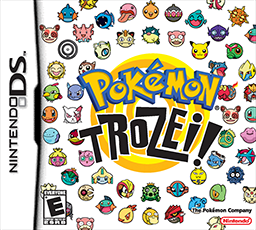 The next entry, Diamond and Pearl, perfected that with making it multiplayer. Okay, before I talk about the obvious number one, let’s have some honorable mentions. Golden Sun: This game can’t go in my list since I haven’t beaten it. Sorry Q, it might be for another time. Avatar – The Burning Earth: Such a great game to play. I enjoy it quite a lot. The password system is just amazing. Crash – Mind over the mutant: If only I finished the final area before the time of the rental was over, then this game was allowed to be on my list. 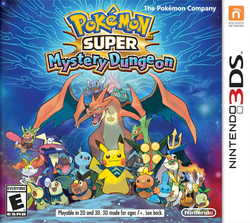 Pokémon Mystery Dungeon – Blue Rescue Team: The reason why this game didn’t make it on my list is because the DS versions already made it on the top 25 DS games list. Yeah. WarioLand 4: I still have to beat WarioLand 4. I enjoyed WarioLand I and II quite a lot. I never got a hold of the 3rd game, but I got the 4th game for free. Metroid Fusion: I still have to beat you. Yup, my fans might have seen this entry coming from miles away. Not the GBA remake of the very popular “A Link To The Past” but the Minish Cap. This handheld title is quite a lot of fun. There are sadly enough some flaws. The game is quite short, easy and the Kingstones aren’t so much fun in practice. I had beaten this game while I was renting it. My honest advice is that you rent it, unless you are a Zelda fan. No, I’m joking. 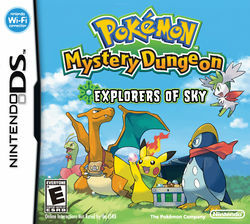 Play this game, since it’s one of the best adventure games the GBA has to offer. 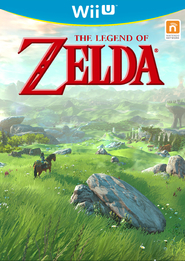 I think that this game is more meant for the younger, newer Zelda fans. To get new players hooked to an awesome series. That’s the reason why it’s so… well, easy. This list was a bit tougher to put together then my DS list. The main reason is because my memories of the GBA time are fading a bit since the DS was such a huge hit with me. And back in those days I also played a lot of other games. So, my connection was less strong the with the gameboy or the DS. This entry was posted in Articles, First Impression, Gaming Nostalgia, Personal, Reviews and tagged 001, 10, 4, advance, arpegi, battle, buttonsmashers, doo, Emerald, for, gameboy, games, GBA, Golden, island, jea, Jonez, jonez001, jonezjea, land, Legend, mayhem, my, Mystery, neko, NekoJonez, nicktoons, personal, Pokémon, Raider, ruby, Sapphire, scooby, sun, Tomb, top, volcano, wario, warioland on November 16, 2014 by NekoJonez. Game Music: My Favorites – Numbero 9: Nintendo (3)DS Month Special! Read more gaming music articles. Since this month’s theme is the Nintendo DS and Nintendo 3DS, in this new music article, I will list some of my favorite tracks of the system. New readers, in this series I talk about my favorite tracks in the games I have played. So, when I haven’t played a game, I won’t talk about it. I will explain also why I selected the track or I talk about the feelings and history it has with me. I have a few rules though. I only select original tracks. So, I don’t select remixes of the tracks. Also, to limit myself, I only select one track per game per article. So, if I want to talk about 2 tracks of the same Kirby game, I have to do that over two articles. My biggest fear is always that I might have talked about a track in the past. When you ever notice that I talked about a song twice, feel free to leave me a comment to let me know. In that case, I will add an additional track to my next article in the series to make up for it. You could leave other comments as well of course. Like what your opinion is on the games, music and or the article. Also, for anyone wondering, yes this game is real. 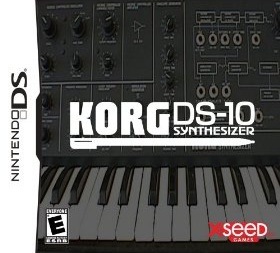 There is really a synthesizer on the DS. I recently reviewed this game. So, why not included one of it’s tracks in this article? When I publish everything according to how I planned it for this month, it should be the previous article! So, this track is very lighthearted and pretty upbeat. I do have to admit that I sometimes place this track to the wrong game. Such a shame. One day, I confused it with another track from the game Lux Pain called Pumpkin Pon. It has similar elements. From now on, I will try to avoid getting the two mixed up. Because I wrote an article on this, so I have to remember right? I was amazed when I found out that I haven’t talked about this track yet! I wrote an article about this game in the past, a first impression. Since I have been playing it again lately, it has been keeping me up at night. Yeah, I fell in love with this game. The concept, the story, the gameplay… I love it all. The game does have it’s flaws though, yet the soundtrack isn’t one of them. Not at all actually! The soundtrack is one of the strong points in this gem of a RPG. I used to RP in the past on my forum and I used this theme for my main character! I liked it that much. Up until now, I use to listen to this style of music when I’m writing a story about a hero that leaves on a journey. The music has inspired me to do all sorts of crazy twists in my stories. Anyways, give it a listen for yourself. Since I’m blinded by pure love for this game. Let’s pick one of the 3DS library. And this track of the soundtrack is just amazing. You finally finished the game and you have beaten the final boss. Now, you see the story play out. Like I said in my review of the game, the ending of this game will make you emotional. Listing to this amazing piece of music while seeing the credits roll feels so good. I felt rewarded when I heard this song. Honestly, I’m considering making this my cellphone ringtone or my alarm clock. I love it that much. Lately, all games are going for a more orchestrated version of their soundtrack. It still blows me off my socks to hear that they do this also for portable games. This gives me hope in seeing more amazing adventures coming to my portable systems. I just don’t feel as rewarded as I finish a game on a console. Maybe it’s the nostalgia for portable gaming or might it be something else? Who knows? Anyways, I think I have said enough about this track. I encourage you to listen to this amazing piece of music. But this music is “stronger” when you hear it in-game. Remember how I talked a while ago about Okami? Well, there is a sequel of that game. On the Nintendo DS! And it works great! 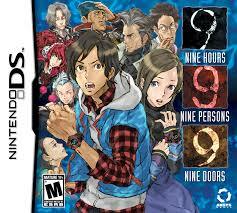 I’m even planning to write a review of this game in this DS themed month. If I don’t write an article about this game this month, you may be sure that one day I will write about this! 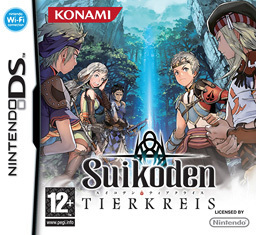 Since this is one underrated gem on the DS. 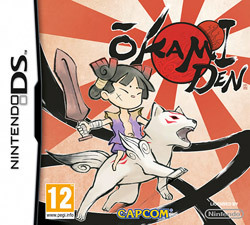 I’m really hoping to see a 3rd game in the Okami series. So, Capcom, get to work please! About the music, this is another case of “sounds better in-game”. The whole soundtrack of Okami and Okamiden is amazing to listen too. If you would ask what my favorite track is in the game, I wouldn’t be able to answer. Since I do enjoy them all. I have some that I love more then others, but there is no track that really stands out for me. Yeah. I do remember the hate and trolling this game got when it was announced. Link in a train? A lot of people made fun of it. While at first it looked like a strange idea for a Zelda game, in the end, it worked out in my opinion. While the game was exciting, I honestly think they could have done a little bit more with the train mechanic. But, hey, this article isn’t mean to review the game. That’s for later this month. (Or I might change my mind and review Phantom Hourglass). Anyways, I was hyped for this game. When I finally got my hands on this game, I enjoyed it a whole lot. This game has several winks to previous titles. Even in the music. The overworld track reminds me a bit of the ocean theme and the Hyrule field theme. 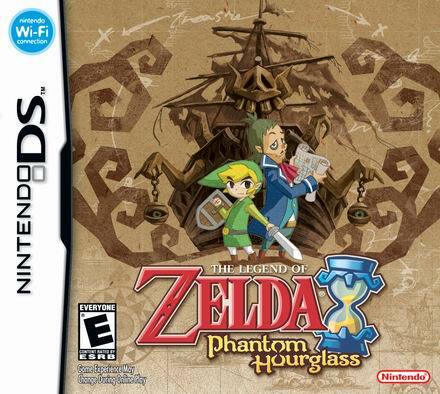 I think the soundtrack of this game is one of the best soundtracks in a handheld Zelda game. While it’s dangerous to say that, since you have Ocarina of Time on 3DS (remake) and that’s a remake of many people their favorite game. There we go, 5 tracks picked from the Nintendo (3)DS library that I consider as amazing tunes. It’s quite clear that I can’t pick a favorite piece of music in games. I mean, I nearly wrote ten articles about it. Anyways, I hope you enjoyed reading and listing to the music. As I said in the introduction, feel free to leave a comment. I read them all! But this will do it for this article. I hope to see you in one of my next articles. This entry was posted in Gaming Music and tagged 001, 3DS, Amazing, arpegi, buttonsmashers, by, capcom, ds, Dungeon, ending, friends, game, Gates, hollow, inifinity, jea, Jonez, jonez001, jonezjea, konami, Legend, music, Mystery, neko, Nintendo, Of, okamiden, Pokémon, pride, spirit, suikoden, Sword, The, theme, tierkreis, time, To, tracks, Zelda on August 11, 2014 by NekoJonez.